I like to picture in my mind's eye the guards at the top of the castle, poised with the boiling vats of oil, readying to drop them on their enemies if they attack. My boiling vat of oil happens to be a pot of boiling water. I don't know how I feel about this. Oxalis is one of my favorite weeds! On the other hand, it is cool that you're not using chemicals. No chemicals? You're using a whole kettle full of boiling solvent -- one of the best solvents in the universe, as a matter of fact. It's fascinating to me, the "chemical" label, and how it's applied. Ascorbic acid? Chemical. Vitamin C? Nutrient. But it's the same compound. Cyanocobalamin? That's an organometallic complex featuring a heavy metal atom and a cobalt-carbon bond. Terrifying. But if you call it Vitamin B12, everybody wants it in their cereal. mrbrownthumb - I admire many an oxalis as well, just not this particular one which is so prevalent in my garden in unwanted places. It's little root tendrils are so hard to remove! Brent - Remember: just don't do it around plants you want to keep, because it will kill those too. PAgent - Drat it all to hell! You are correct. I should have said DANGEROUS chemicals or chemicals that harm the environment or better defined my reference of chemical. Thank god someone with a doctorate, such as yourself, reads and comments on my blog saving my ignorant falls from grace. ;) Thank you. We have been doing that for the past couple of days with all our boiling water left over from canning. Kills em good! My father hit me up to it telling me that in New Zealand, they used steam to kill noxious weeds. I spent a crap ton on Oxalis oregonus at Portland Nursery this spring. You should dig that bad boy up and see what they'll give you for it. Hmm. This is exactly how I cook spinach (sans the gravel. Brilliant! Now I just need a giant kettle and a long hose so I can get it out to my weedy front apron. I have done this too, but last time they GREW BACK! Is there a trick to it? Or just plenty of water? I love this idea! Never heard of it before. 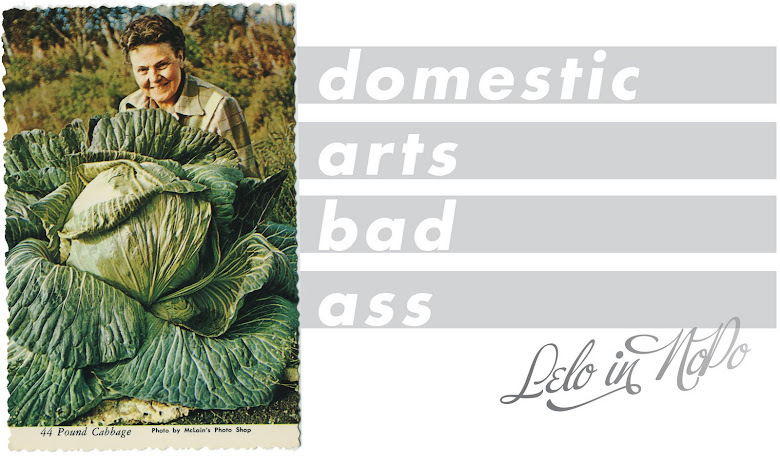 Lelo, I bet there are other things you could teach me too! Just add butter and serve. Brett - So brave with that canning water! Bridget - There are many types of oxalis but unfortunately, this one likes my garden a little too much. If i could pry its spindly tendril like roots out of the ground, I'd still feel guilty gifting it along to another gardener. But you're welcome to all of mine! MaryJo - You are absolutely correct. Like I said in the clip, you don't want to do this around other plants, but in specific areas, I find it pretty good. Jaquelyn - I think you need a flamethrower out there: now THAT would give the neighbors something to talk about!